Standalone multi-functions are swell. You don’t need to go on a computer to make copies, scan, or fax. Unless you have a USB flash stick. Then you’re condemned to walk all the way to your cubicle just to print out a file that’s on your USB. That is, until the Xerox WorkCentre PE120i. The compact unit provides not only color faxing and scanning with monochrome printing and copying, but will directly read and write to USB flash drives, making the USB socket the “5” in “5-in-1”. If you don’t want to turn on the computer every time you want to make a copy, a fax, or e-mail a scan, you don’t have to. The PE120i has a complete control panel with a 2-line LCD display for setup and operation without the need for a PC. Twenty programmable keys allow for 1-touch dialing for up to 40 fax numbers. An address book function allows for more frequently used fax numbers to be stored and retrieved, speed dialing of 200 numbers. To protect unauthorized access, 4MB of reserved memory allows for up to 320 pages to be stored; a password can be activated to allow authorized users to print the stored faxes. 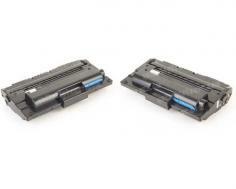 A pass-through external phone jack on the back of the printer allows for plugging a telephone or an answering machine. If you have a USB flash drive, the PE-120i can directly read from your device for scanning, copying, and printing standard image files. To make configuration recovery easy, information stored in the WorkCentre’s memory can be backed up and restored using a USB Flash drive. Non-standard sizes up to 10” x 14” can be placed singly on the scan platform. For multi-page originals, the Automatic Document Feeder (ADF) allows copying or scanning of up to 50 single-sided pages. The PE120i comes standard with a 250-sheet cassette tray. Stacking a second 250-sheet tray makes it capable of holding a ream of letter or legal-size paper. The flip-door on the side of the printer reveals a 50-sheet multi-purpose tray that can handle transparencies, labels, post cards, envelopes, and to 8.5” x 14” legal paper of various bond weights. The color scanner portion of the PE120i is compatible with TWAIN & and XP/Vista’s WIA standards. Copy options include changing image magnification from 25% to 400% times the original size. By scanning originals once, the PE120i can quickly collate up to 99 copies at speeds of 22 pages per minute. Printing is in B&W at a top speed of 22 ppm. With a top resolution of 1,200 x 600, the PE120i keeps text sharp and does a fair job with graphics. To keep from consuming too much toner, the printer has a 600 dpi resolution with a text-enhance or image-enhance switch. The Toner Save feature allows for a 40% toner life increase while keeping images clear and readable. The PE120i gives you a choice of using the USB 2.0 or IEEE 1284 Parallel interface to connect to a single workstation, as in the case of many home-based businesses. For offices with networked computers, the built-in Ethernet makes the multi-function a nice network printer. The multi-function comes with 32MB of memory--enough to handle most small office or classroom needs--but if you need to expand, it’s easy to access the DIMM slot to add up to an additional 128MB for a total of 160MB. 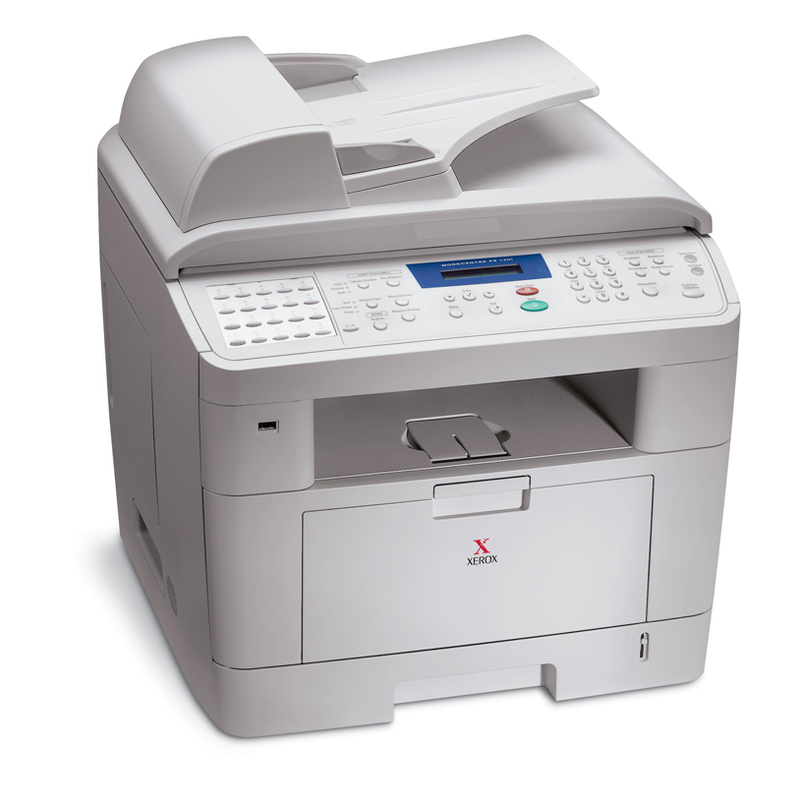 The basic printer produces up to 55 of sound copying, and idles at 39dB. To give you an idea of what that means: 60 decibels is the level of normal conversations and 40 decibels is the level of a whisper. If you are only looking to use the USB, the noise may prove to be distracting if the PE120i is sitting next to your desk while used as the office’s shared printer/copier. While you can add additional paper trays and memory, Xerox did not include an option for duplex printing, a nice paper-saving feature for a multi-function with small paper capacity. A personal pet peeve is when companies offer multi-function machines, and the software is only designed for a single operating system. Most of the advanced printing features touted on Xerox’s brag sheets are only available for Wintel machines. Linux and Mac users can only get similar functions if it’s native to their OS or by buying a 3rd party application. Review it: "Xerox WorkCentre PE120 "
The drum and toner are integrated into a single cartridge, to make replacement of consumables easier to manage. A 2,000-page starter toner comes with the PE120i, over a third less than the standard 3,500-page cartridge. 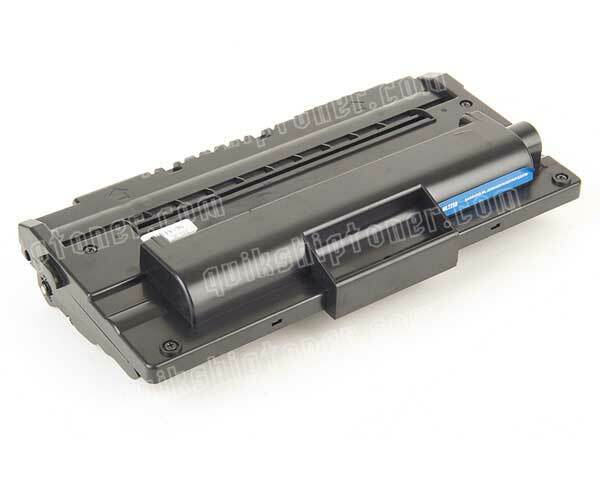 The PE120i can support either Standard or the 5,000-page High-Yield cartridges.